High temperature, slightly sandy, plastic, semi-vitreous, grey-buff burning, general purpose, native body for reduction and oxidation fired functional stoneware. For many years H550 has been a standard among Plainsman customers for cone 10 reduction functional ware. We maintain the porosity at about 2% for cone 10R. See H450 for a smoother, lighter burning body. H550 has a fairly plastic but slightly sandy texture and generates plenty of slip during throwing. H550 has a good distribution of particle sizes in the entire plus 200 mesh range (it draws from the illite, ball clay and kaolinite mineral families) to give relatively fast drying and high green strength. However, since H550 has a fairly high dry shrinkage, care and attention in drying are still necessary in making larger pieces, especially flat plates and shallow bowls. If you want a smoother, more plastic body, please use H450 instead. H550 is somewhat sandy. That means that if you leave water on the surface splits can form when shaping or alteration produces convex contours. Sponge off water and slip on any surface that is under tension (e.g. the belly on a thrown vase). These fired test bars (left to to right) compare H431, H550 and H435 at cone 10R (top) and cone 11, 10, 9 and 8 oxidation. H550 is fairly vitreous at cone 10R (the most mature of our bodies made completely from our materials). H450 is slightly less mature and a little more stable in the kiln, it is also smoother, cleaner and lighter burning. In oxidation H550 burns to a much lighter grey buff than it does in reduction. It generally fires solid grey in reduction kilns (cone 10R is past its transition point from reduction light-buff to grey buff). Since H550 contains some free silica, normal care is required when heating and cooling it through quartz inversion temperatures, especially if ware is being refired. Since H550 contains more than 70% SiO2 you can expect it to accept most typical cone 10 glazes without crazing them (glazes which craze on porcelain bodies will often fit well on H550). 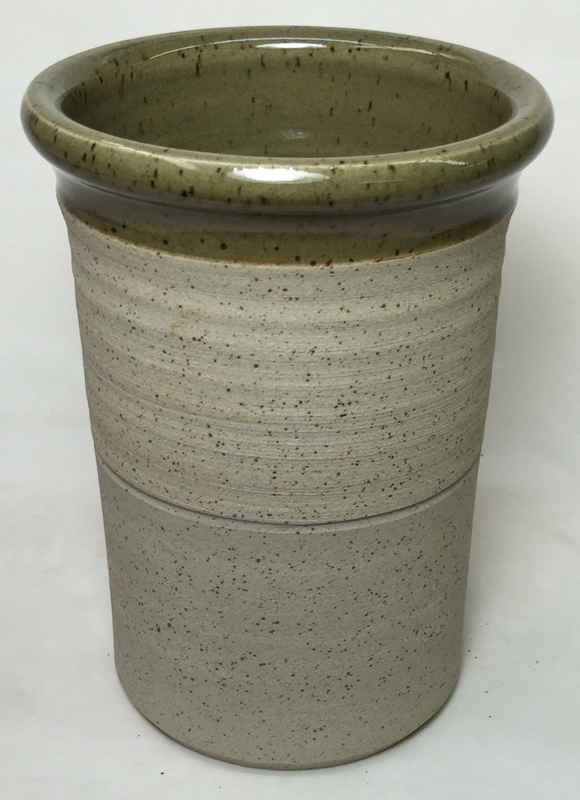 H550 with Ravenscrag celadon glaze. Fired at cone 10R. Commercial brush-on glazes offer many colors and surfaces. For functional ware check for glaze fit (vital for quality functional ware). Do not assume food safety of brightly colored glazes in your kiln and with layering without a leach test (e.g. GLLE test). Consider using transparent or white liner glazes for food surfaces. Mixing your own glazes is practical (with our clear guidelines even beginners can make dipping glazes that go on silky smooth and evenly and dry in seconds). If you already do this using recipes from the web, be careful. High-feldspar glazes (having more than about 35%) often craze. Some recipes rely on high melt fluidity to encourage crystallization and variegation (often because of inadequate SiO2 and Al2O3 or containing Gerstley Borate or Frit), view these with suspicion for leaching and cutlery marking; test them well (also test the additionless versions). Be suspicious of any glaze not having good documentation. Consider using our G1947U glossy or G2571A matte base recipes, just add colorants, opacifiers, variegators (you will find links to much more information and pictures about these). If you have a recipe that is troublesome, consider transplanting its opacifiers, colorants and variegators to these bases instead. 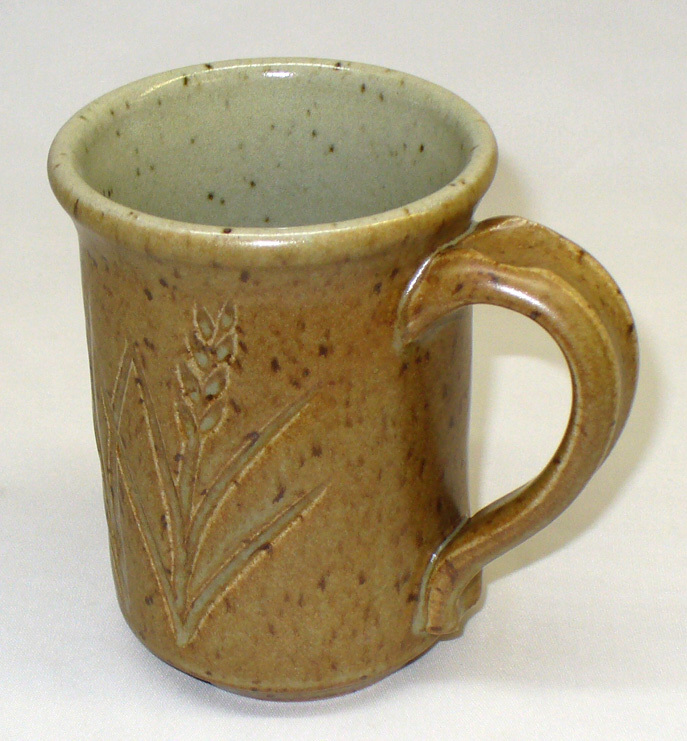 http://ravenscrag.com and http://albertaslip.com also have many recipes that work well on porcelains. Crazing: Functional ware must remain craze-free (crazing is unsanitary and drastically reduces ware strength). Because ware is not crazed out of the kiln does not mean it will not do so with time. Do cycles of a boiling water:ice water immersions (BWIW test) on a piece to test glaze fit (by stressing it to bring out any crazing or shivering tendencies). Glaze slurry consistency and quality: In freshly mixed or stored glazes that do not have natural thixotropy a secret to achieving even coverage is inducing it by additions of a flocculant. A glaze of the right specific gravity and having a slightly gelled condition goes on to bisque ware evenly, does not drip and dries in seconds. Always screen glazes when first making them (80 mesh). Be alert to any particulate that may appear after storage (e.g. precipitates) and screen again if needed. For slip decoration and engobes be careful to match the fired shrinkage of the slip with the body. Where we do not recommend a specific engobe recipe use a formula based on the porcelain itself. Add 2% VeeGum or Bentonite (the extra stickiness helps it adhere well to leather hard ware). Be careful about adding fluxes (e.g. frit), this increases fired shrinkage (the mismatch with body can cause flaking) and can compromise opacity. If you want to develop and mix your own glazes and engobes consider getting an account at http://insight-live.com. You can organize a methodical development program and adopt better methods of testing (e.g. melt fluidity, thermal stress, slip-fit tests). We do not supply a thermal expansion value. The reason is that such numbers often mislead users. First, a body has different thermal expansion characteristics when fired at different temperatures, schedules and atmospheres. Dilatometers are only useful when manufacturers can measure bodies and glazes over time and in the same firing conditions. If a chart is supplied here, please view only as a way to compare one body with another. Another significant issue is that many customers compare measured thermal expansion numbers with calculated values of glazes in efforts to fits those glazes to a body. This does not work. Calculated values are relative only and have limitations that must be understood. The best way to fit glazes to your clay bodies is by testing, evaluation, adjustment and retesting. For example, if a glaze crazes, adjust its recipe to bring the expansion down (using your account at insight-live), fire a glazed piece and thermal stress it (using an IWCT test, 300F into ice-water). If it still crazes, repeat the process. If we recommend a base clear or glossy glaze, try calculating the expansion of that as a rough guide to know whether your glazes will fit. H550 and glazed with Ravenscrag Bamboo GR10-J1 (outside) and GR10-C Ravenscrag Talc Matte (inside). By Tony Hansen. 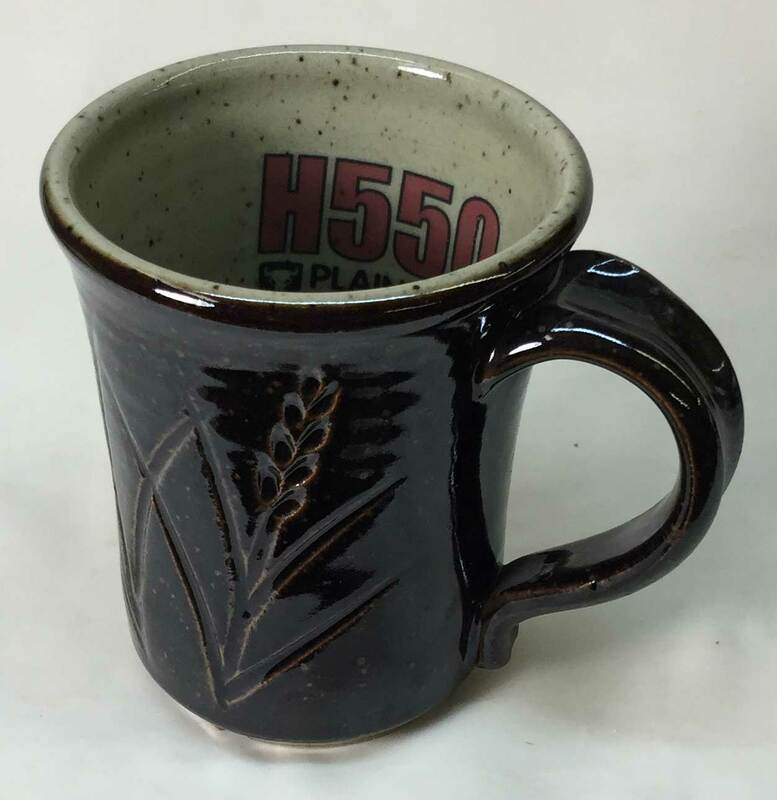 H550 mug fired at cone 10R. Inside glaze is G1947U transparent. Outside is 50:50 roast:raw Alberta Slip mix. Mug has been fired to 1500F in a decal firing, this has significantly darkened the Alberta Slip tenmoku effect (to almost black).